Kirkcudbright junior team captain Brian Haining (left) with trophy winners Craig Porteous and Callum McMillan. where eight of the most promising juniors contested the title. his first championship competition. His score 100-36-64. Callum McMillan 70-5-65: Ailsa Brannock(CD) 80-12-68: Christopher Wilson (Kbt) 81-16-65: Jack Norman (Kbt) 92-19-73: Craig Porteous 100-36-64: Aiden Lockhart 109-36-73: Frank Porteous (Kbt) 112-36-72.
but with a fairly strong wind making scoring tricky. 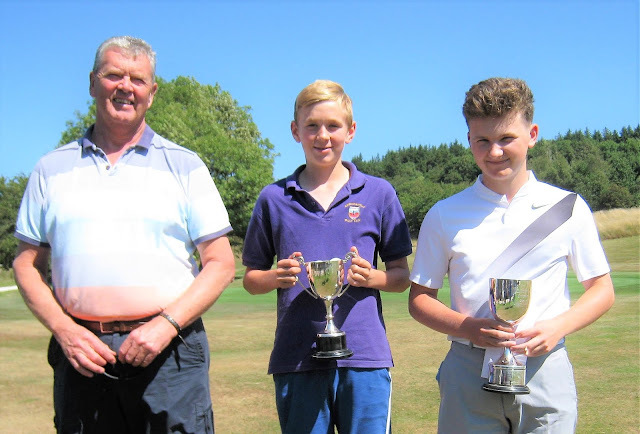 The winner of the Championship Trophy (Scratch) was local golfer John Thomson scoring 33. The over 50's scratch went to G. McMillan (GH) with 30. The winner of the handicap prize was A. A. McGowan(Kbt) 37pts: 2nd D. McLachlan (Kbt) 36 pts: 3rd R. Murray (Kbt) 36 pts. 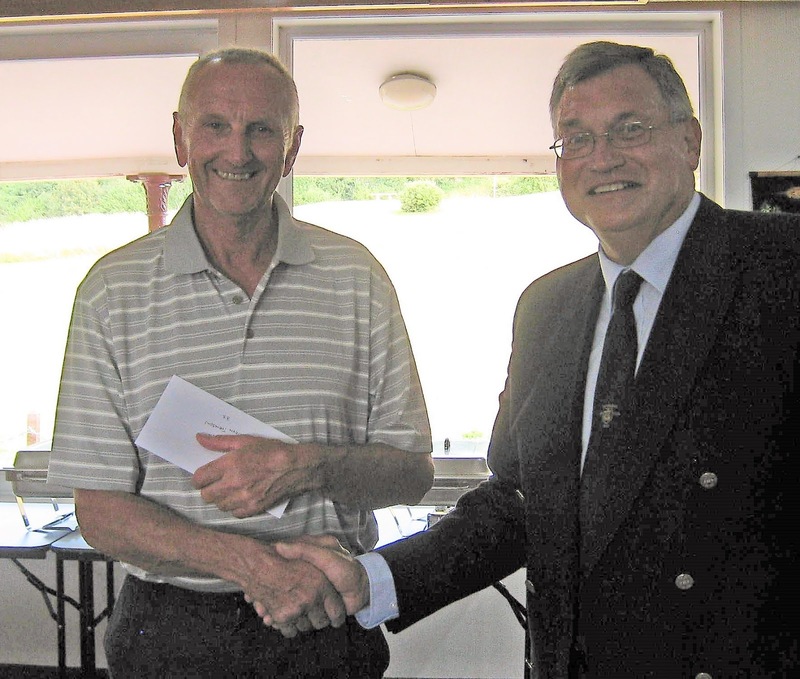 The over 60's handicap winner was P. Stirling (Kbt) 40 pts: 2nd B. Strysjewski (Kbt) 40 pts: 3rd P. Roberts (Kbt) 39 pts. best score on the day G. McCosky (Kbt) 41 pts: 2nd T. Haine (NG) 40 pts: 3rd M. Little (CD) 39 pts. Vice President Jeff Sutcliffe thanked the host club and members for all their help in making the day successful and enjoyable.